“Beautiful Weddings Events ~ California Wine Country ~ ISBN 1-890083-48-8 $21.95 San Francisco Bay Area ~ ISBN 1-890083-42-9 Learn more from our Bookstore website Or call 800-233-3850. 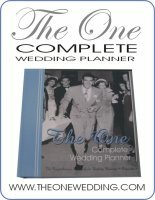 Shaffer Shaffer "Wedding Flowers Decorations Book" Publisher Lead Gen Business – Downloadable book (.pdf) 359 pages of Bouquets, Corsages, Decorations, Tips for your Wedding, Availability of flowers, and a Floral Planner. The pictures are labeled with the flower names for your convenience. Contact 561-531-9391 or Send an Email Visit Shaffer Shaffer Ltd.